Live the typical Colombian life in 9 days, from the Andes to the Caribbean coast. You will try unknown fruits in a busy local market in Bogota before driving to the underground salt mine of Zipaquira and the typical Andean town of Villa de Leyva. Local guides will show you around the town’s impressive Plaza Mayor, the biggest plaza in Colombia and through the surrounding desert, leading your horse to explore remnants of the Muisca culture. Going north, meet the locals in quiet Barichara. The “most beautiful village of Colombia”, full of stories and legends, is almost completely unspoiled by modern architecture. Take your time to visit local artists and craftsmen and admire the beauty of the surrounding countryside. 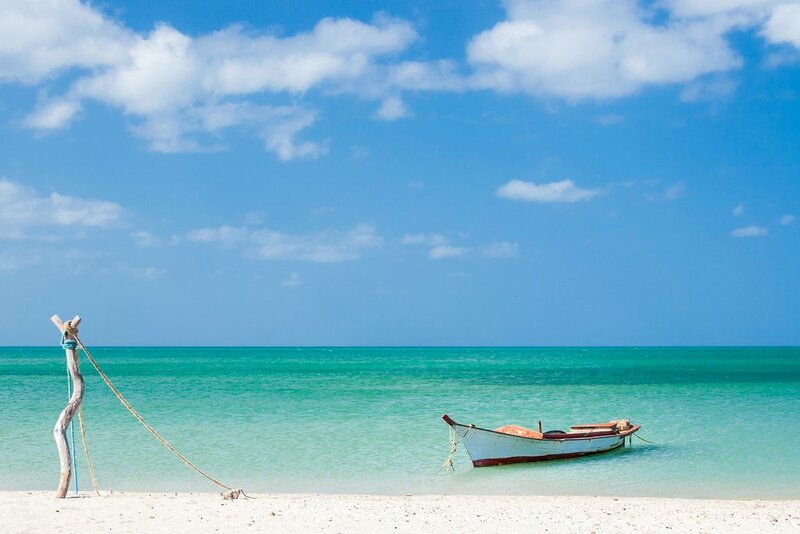 To end your adventures, walk in the footsteps of famous pirates in the magical streets of Cartagena de Indias and swim in the crystalline waters of the Rosario Islands Archipelago. Welcome to Bogotá! A driver will meet you at the airport for transportation to the hotel. 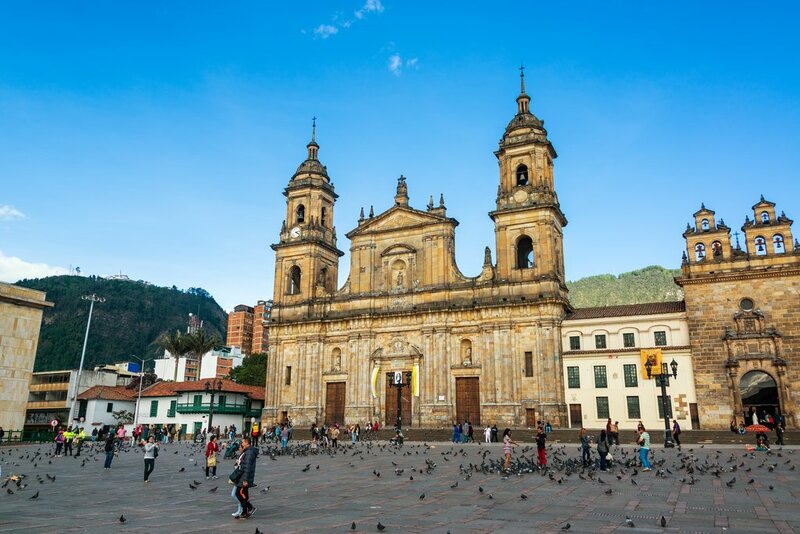 Colombia's biggest city is on the rise in terms of gastronomy and culture, so spend your free time discovering this vibrant Andean capital by foot. 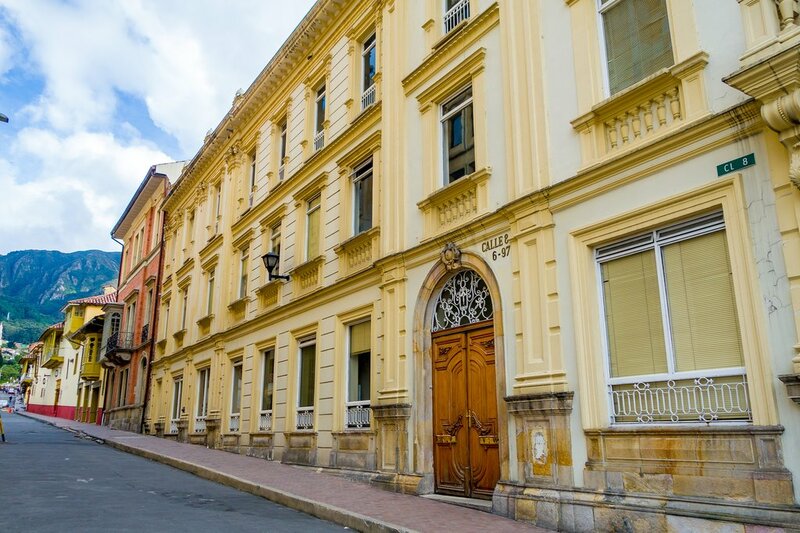 Explore the cobblestone streets through the La Candelaria neighborhood, where trendy restaurants and colonial-era landmarks are located, as well as excellent museums, shopping, and street food options ranging from empanadas to exotic fruit salads. Depending on what time you arrive, you can experience Bogota's local history and culture by taking a tour with an English-speaking guide. Begin your day with a walking tour of Bogotá's largest food market, the Mercado de Paloquemao. Open every day, Paloquemao supplies fresh ingredients for the majority of the city's best restaurants. Wander the aisles, marvel at the sheer number of flowers for sale, and sample the variety of exotic fruits and local dishes served up by the market's vendors and restaurant stalls. Bogotá has a wide variety of graffiti and street art on its walls. They are colorful, artistic, dogmatic and fun to explore. After lunch, you'll see the capital by bicycle and visit the most representative places of street art in Bogota, like the neighborhood of La Candelaria and the campus of the National University. Your expert guide will share the meanings and stories behind this colorful aspect of Colombian culture. Today you'll transfer to Zipaquirá. This town, declared a Colombian heritage site, is known for its famous underground Salt Cathedral—a Roman church built within the tunnels of an underground salt mine. Entry to this popular site includes a guided tour along with some free time to explore on your own. 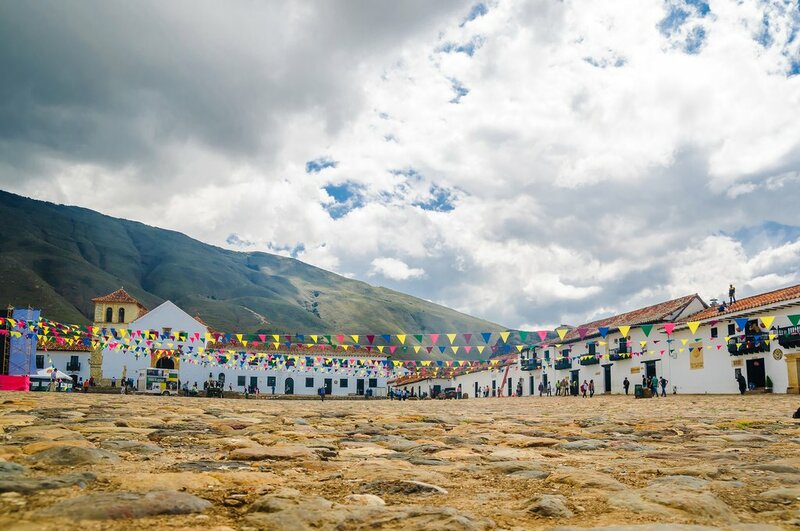 From here, continue driving north through the Andean highlands and stay overnight in Villa de Leyva, one of the most beautiful colonial villages in Colombia, featuring cobblestone streets and whitewashed buildings. After breakfast, you'll take a horseback riding tour of the surroundings of Villa de Leyva. 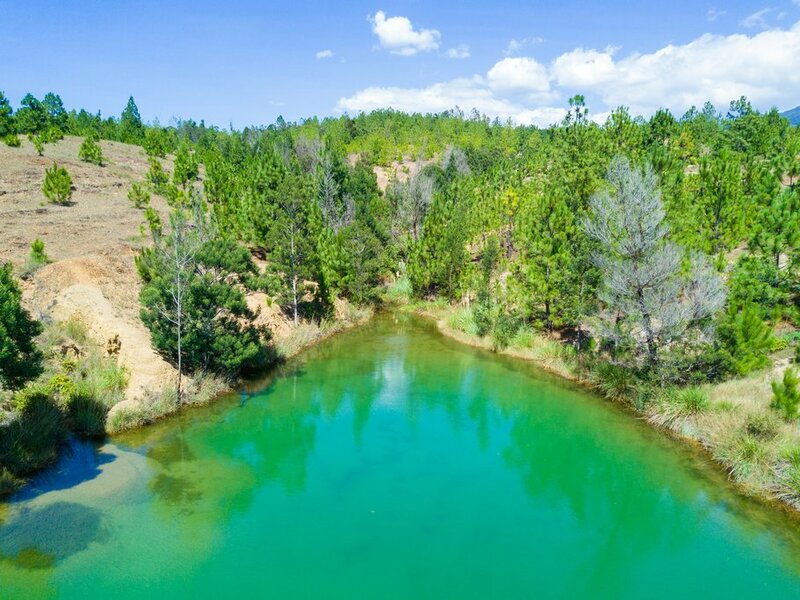 You'll pass by Pozo Azul, where you can go for a quick swim if you like, the Fossil Museum, and the archaeological site of El Infiernito. Afterward, the afternoon is yours to explore the quaint town and it's surroundings however you prefer. In the morning you'll depart from Villa de Leyva heading north four hours to the village of Barichara. There's no more romantic colonial town in Colombia than this one. It ticks all the boxes: cobbled streets, whitewashed houses with terracotta roofs, an ancient Cathedral and all of it first constructed some 300 years ago. This is history in stone, which is why it is one of Colombia's official heritage sites. On a walking tour of Barichara, you will visit the Church of the Immaculate Conception, located on the main square (with the smaller Santa Barbara Chapel to the north of it). You'll go to the cemetery (constructed of local stonework) and even pay a visit to factories producing handmade cigars. There will also be a stop at the viewpoint of the Suarez Canyon. In all of Colombia, this might be the best sunset view. You'll return in the late afternoon to your hotel and have the evening to enjoy at your leisure. After breakfast, hike up to the edge of town where you'll find the start of the Camino Real (or "royal path"). You'll walk along this path two hours until you reach the small colonial village of Guane. Along the way, you'll be treated to some great views of the canyons as well as a bit of solitude in the peaceful countryside. 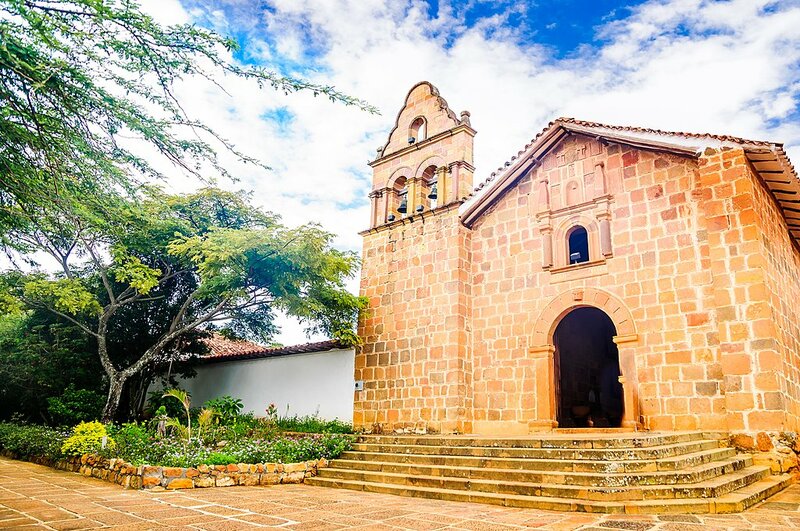 Once in Guane, you'll visit the archaeological and paleontological museum. It displays ceramics and jewelry made by the Guane indigenous people, as well as fossils that are millions of years old. Finally, you'll visit the Chapel of Santa Lucia, located in the iconic main square. You'll then return to Barichara on a moto-taxi (approx. 35 mins.). This means of transport is perfect to relax and enjoy the views of the Rio Suarez canyon whizzing by. After lunch, depart to Mesa de Los Santos via the majestic Chicamocha Canyon where you can enjoy breathtaking views and visit a beautiful coffee hacienda where you will take a tour of the plantation and learn about the coffee making process. 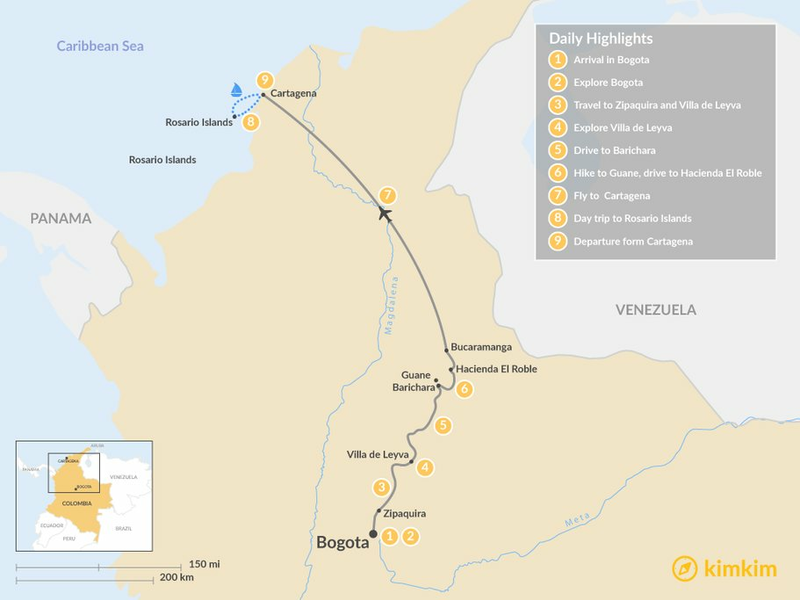 Transportation to the airport of Bucaramanga and flight to Cartagena (connection in Bogota). 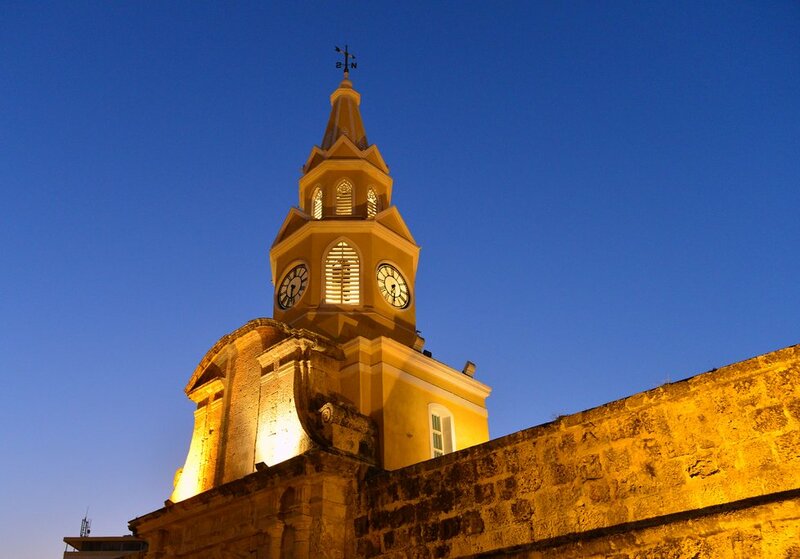 Reception at the airport and transfer to a beautiful hotel located in the historical center of the famous Cartagena de Indias, the “Pearl of the Caribbean". Today you'll produce your own chocolate directly from cacao beans. You will be participating in the "Bean to Bar" workshop held at the ChocoMuseo (Chocolate Museum) located in Parque Bolívar, in Old Town. You'll learn the history of this substance and even prepare and taste a legendary chocolate drink dating from all the way back to the years of the Spanish conquest. At the end of the workshop, you'll leave with your own handmade chocolates customized to your specific taste. Once you arrive to the Rosario Islands, change into your swimwear before you head to Playa Azul, a stunning white-sand beach on the bright turquoise Caribbean Sea. 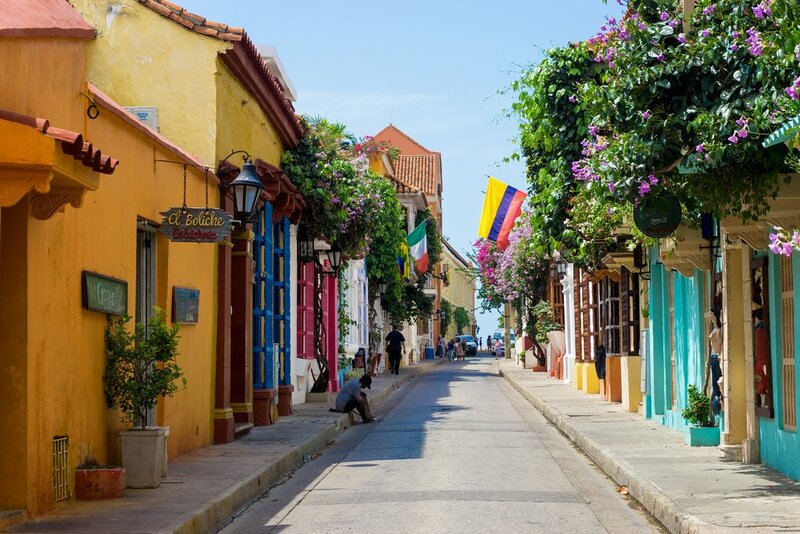 After lunch is served, you will have time to relax and sunbath, or do some kayaking in the sea before returning to Cartagena in the late afternoon. A car will pick you up at the pier to take you back to your hotel.